Every day, our feet are put thru the elements. Knowing this, keep reading to learn about some solutions to protect your feet. It is recommended that we walk 10,000 steps a day which amounts to about five miles. However, a typical American walks an average of about 5,900 steps a day. This is far low than what the average person from various countries walks. 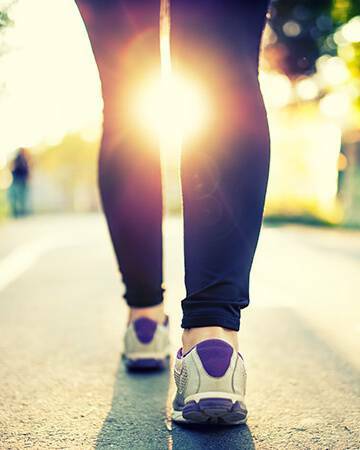 In Australia, the average person walks about 9,700 steps a day, in Switzerland, the average person walks 9,650 and the average in Japan is 7,168. When compared to the Amish communities, male Amish adults walked an average of 18,000 steps daily and the Amish females walked 14,000 steps daily. Should I protect my feet? With that number data from other countries compared to what the typical American walks per day, it begs the questions; Why do Americans walk less? Regardless of the reason and regardless of how many steps one walks per day, the real concern should be the need to protect our feet so that we may continue to walk longer in years and longer each day. With that said, allow me to ask you a few questions. How many times would you say you have you mentioned that your feet hurt? How many times were you stopped from participating in your daily activities because your feet hurt? Have you had to call off work because of feet problems? By answering these simple questions, you agree that you most likely have endured foot pain way too often that you can’t keep track. We never really stop and observe what our shoes are actually doing to our feet. We tend to always look at the price and how cute they are, but we never really stop and think about how the shoe is constructed and how the shoe can either help or hurt our feet. How about understanding how to prevent Shin Splints if you are a runner. In general, you probably wish that your feet stopped hurting. Well, what if I told you that there is a solution to helping you get back up on your feet to enjoy the fruits of your labor? Have I got your attention yet? The solution: Lucky Feet Shoes. At Lucky Feet Shoes, we’ve been in business for 12 years, with 9 Southern California locations as well as an online store. What makes our brand or shoe stores different from other shoe companies, is that we are a specialty store and only carry products to help you with your various foot needs. At each of our locations, we have trained Pedorathists to give you a free foot analysis which helps us to recommend what will ultimately help you as opposed to you just picking and choosing just any item that could ultimately hurt you. Remember, what you currently wear, is what is part of the cause of your foot problems. 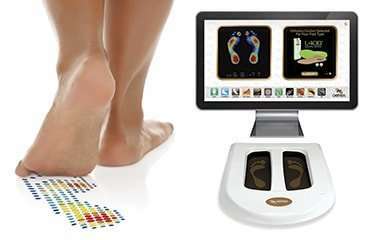 Our free foot analysis will include a scan of your feet, a gait analysis, and proper measurement. When your foot is scanned at Lucky Feet Shoes, we can visually see where you are putting the most pressure on your feet. This scan will also show how high or how low your arches are. Protecting your arches is very important, which is why this scan is important. It allows our trained pedorthists to recommend the most appropriate arch support specific to your foot type. With an arch support, you can transfer them between your shoes to give you that extra comfort and support all day. We also offer custom arch supports which are molded specifically for your feet. Aside from the scan, we also watch how you walk which is the gait analysis. What we look for is to see how much support you would need from a shoe. We see if you pronate in or supinate outward on your ankle movements. If you roll in or outward, this usually affects the knees and back. This is because your feet, which is the foundation for your entire body, is not fully supported which results in the upper body to become misaligned. This is often referred to as the biomechanics of your body. With appropriate shoes and arch supports, these will help with your overall biomechanics. So if you have plantar fasciitis, heel pain, bunions, metatarsalgia, morton’s neuroma, arthritis, hammer toes, fallen arches, flat feet, neuropathy, or other foot problems, then you can now take that one last painful step into a Lucky Feet Shoes for better health and comfort. Now keep in mind that no shoe is a miracle shoe, but with our wide selection of shoes, you will find our selection much more comfortable than most shoes you’ve ever worn. We know feet, but do you really know yours? Let our trained pedorthists help you better understand what your feet are trying to tell you. Feel free to walk in or set up an appointment today for your free foot analysis.